Why See Legends In Concert? From Elvis to Britney, the music world's diverse array of stars are all represented in the scintillating Legends in Concert. 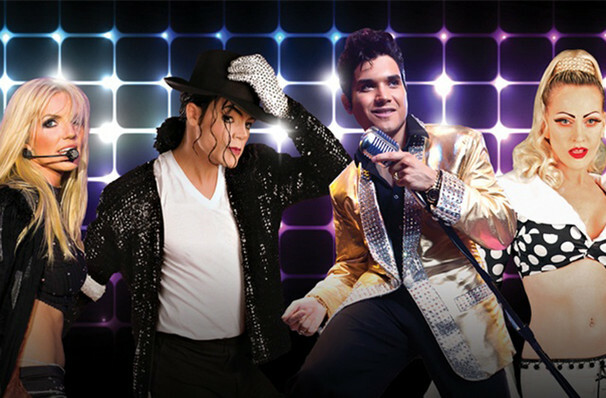 The tribute show to end all tribute shows, Legends traverses genres, styles and eras to gather pitch perfect impersonators of history's greatest singers into one knockout show. There's guaranteed to be something for everyone, whether you're into Country crooners or pop divas. 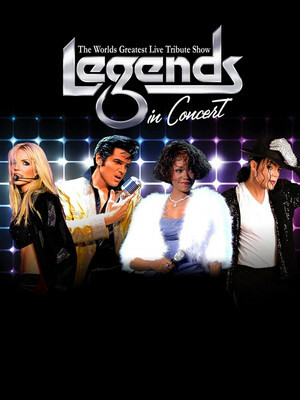 Legends in Concerts shows feature Elvis Presely, Michael Jackson, Britney Spears, Whitney Houston, Elton John, Barry White, Janis Joplin, Carrie Underwood, Bette Midler, Donna Summer, Johnny Cash, Celine Dion, Bruno Mars, Frank Sinatra, Dolly Parton, Prince and many many more! Sound good to you? Share this page on social media and let your friends know about Legends In Concert at Casino Avalon Ballroom. Please note: All prices are listed in US Dollars (USD). The term Casino Avalon Ballroom and/or Legends In Concert as well as all associated graphics, logos, and/or other trademarks, tradenames or copyrights are the property of the Casino Avalon Ballroom and/or Legends In Concert and are used herein for factual descriptive purposes only. We are in no way associated with or authorized by the Casino Avalon Ballroom and/or Legends In Concert and neither that entity nor any of its affiliates have licensed or endorsed us to sell tickets, goods and or services in conjunction with their events.